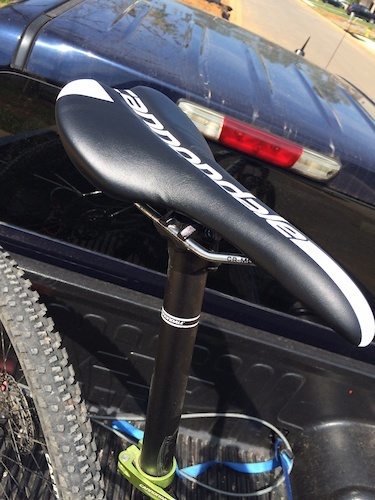 Specialized Camber Carbon Expert 29"
2014 Cannondale Rush 29 1. Great bike. Only selling as I am buying a much more expensive carbon bike. Purchased new in May of 2014. Only thing I changed from stock on this bike was the bars and the tires. Everything else is as listed in the link to Cannondale's site. Does not include pedals. 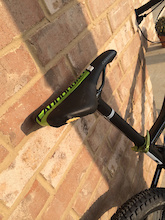 http://www.cannondale.com/2014/bikes/mountain/xc-full-suspension/rush-29/rush-29-1-32347 Now includes new seat. Will also include new rear brake. 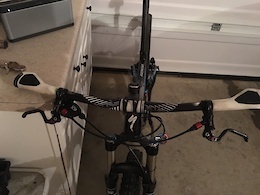 Riding last week I found an issue with it and Shimano is replacing the entire brake. Sette Razzo 1.0 29" 9 speed Great bike. This was my backup bike to my race bike. Bike came stock with the 80mm Reba fork which I just had totally professionally rebuilt about 30 days ago as a 100mm fork with all new parts. Only selling because I am moving and buying a Full Suspension. 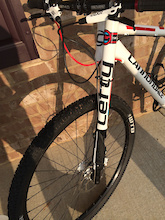 Bike will be totally tuned up by LBS prior to sale. 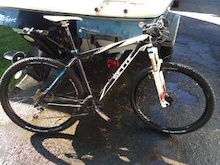 Comes with new extra XT rear Derailleur, cassette & chain. Product Description Fork: RockShox Reba RL 100mm (Just totally professionally rebuilt) Shifters: Shimano SLX M660 9 speed Brake Levers: Shimano SLX M665 hydraulic Crankset: Shimano SLX M660 44,32,22 Bottom Bracket: Shimano SLX M660 Pedals not included.